We have a variety of cutting-edge drones with their own specific capabilities. 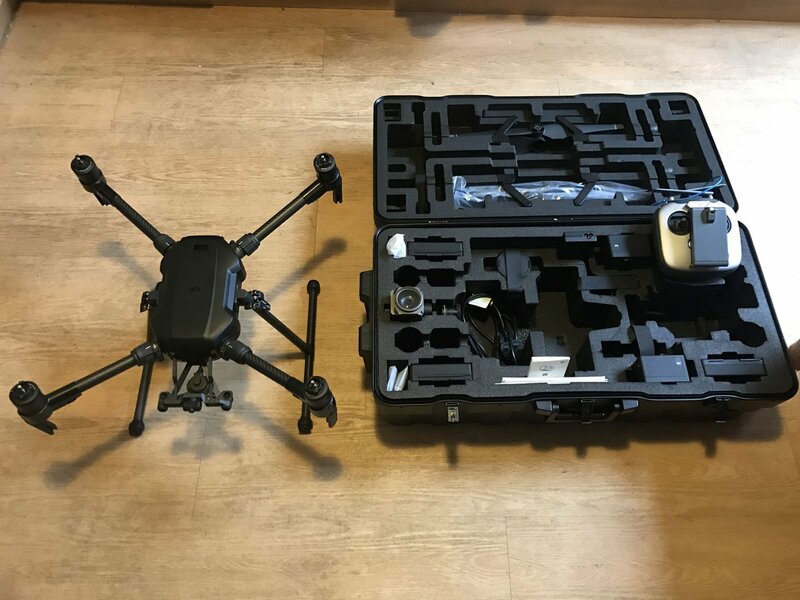 Below is a summary of what our different drones and sensors can provide. Please get in touch with your requirements, and we can recommend the most suitable aircraft for your needs. This specialist 1080p zoom camera gives 30x optical and 6x digital zoom, enabling up to 180x magnification. 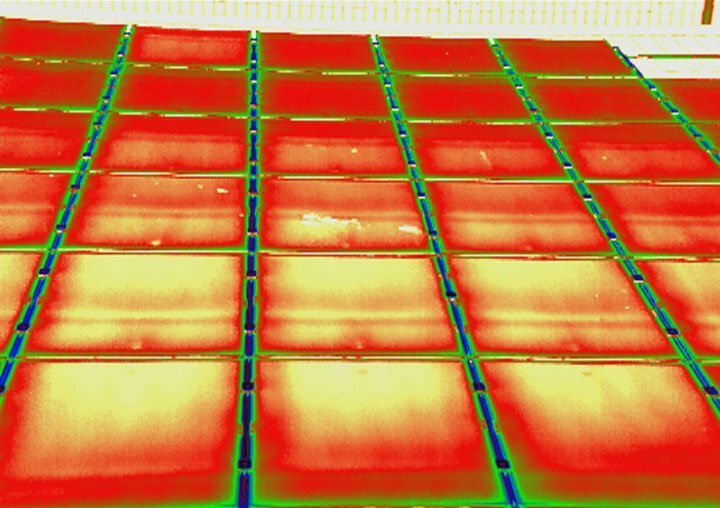 For inspection work, the camera can capture extreme close ups, such as detail of individual bolt heads on an electricity pylon, or rust on a roof panel. This allows a great deal of freedom to the surveyor. For operations around a site that can’t be approached e.g. an unstable structure, the camera is still able to view the asset in sufficient detail while the drone flies from a safe distance. Many inspection projects involve confined spaces such as storage tanks, boilers, mine shafts, or unsafe buildings. This revolutionary aircraft is the first collision-tolerant drone. 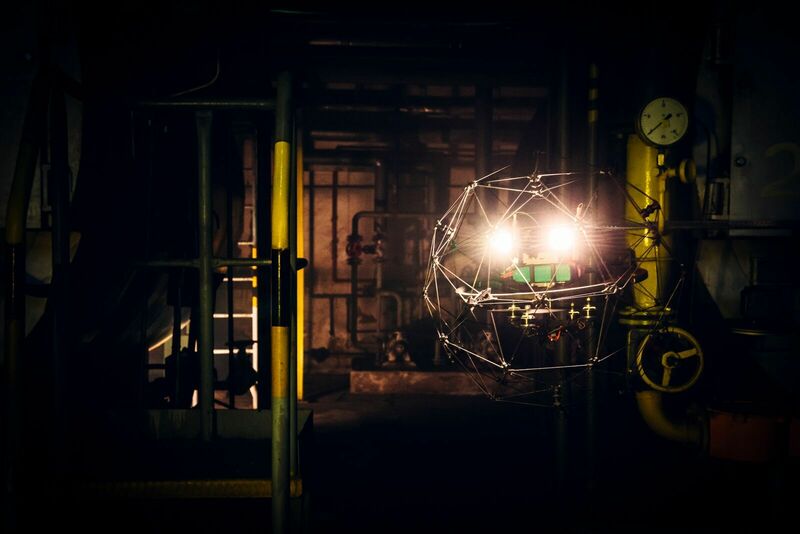 Its protective cage allows it to fly in indoor environments which are too unsafe, or simply impossible for a human to enter. This enables huge savings by removing the time, cost and risk-management of human access. 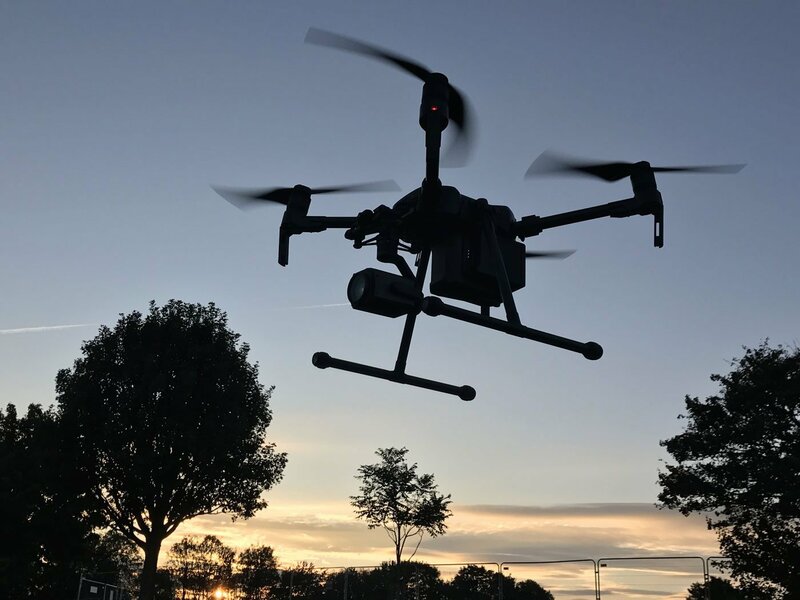 The drone’s 1080 HD video camera and a thermal sensor record simultaneously, and onboard LED lighting enables inspection even in pitch black environments. The inspection team can monitor progress with a video feed which maintains a live image even beyond line of sight. Some tasks involve covering a lot of ground per day, such as roof inspections or mapping large areas. For these jobs, long flight times area key as they minimise the downtime of flying back to base, landing, changing batteries, and returning to the task. 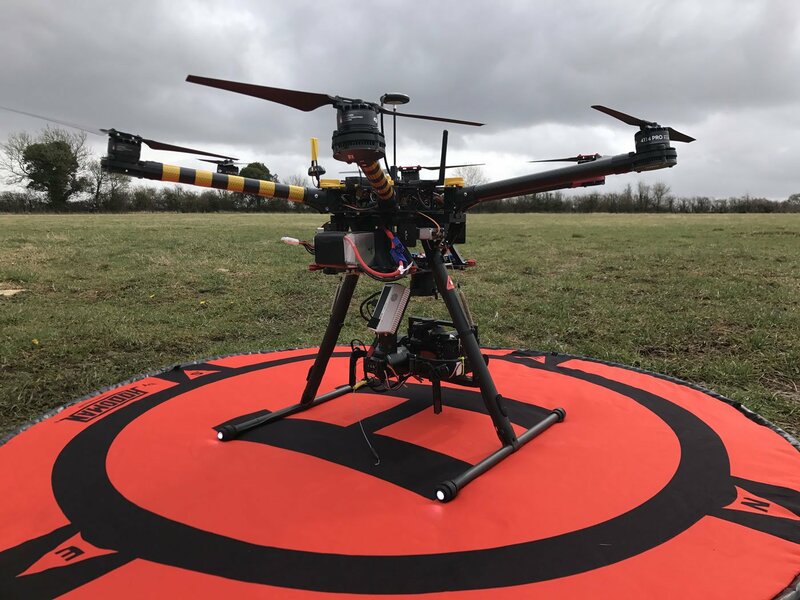 This aircraft can fly for up to 38 minutes, considerably longer than the industry average of 18-20 minutes. 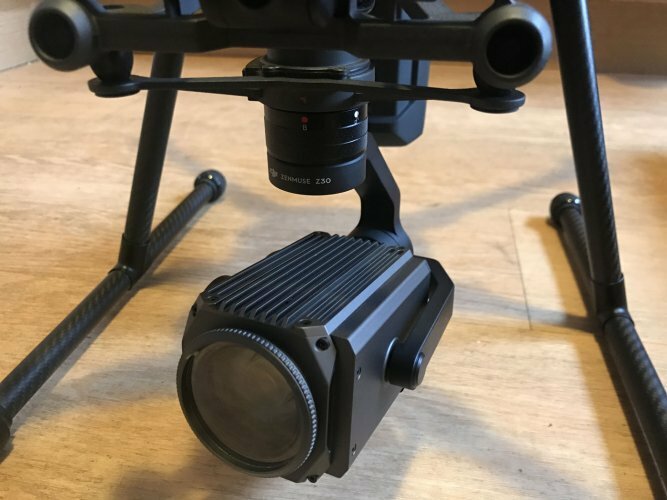 Most camera drones shoot images to resolutions of around 20 megapixels (MP). 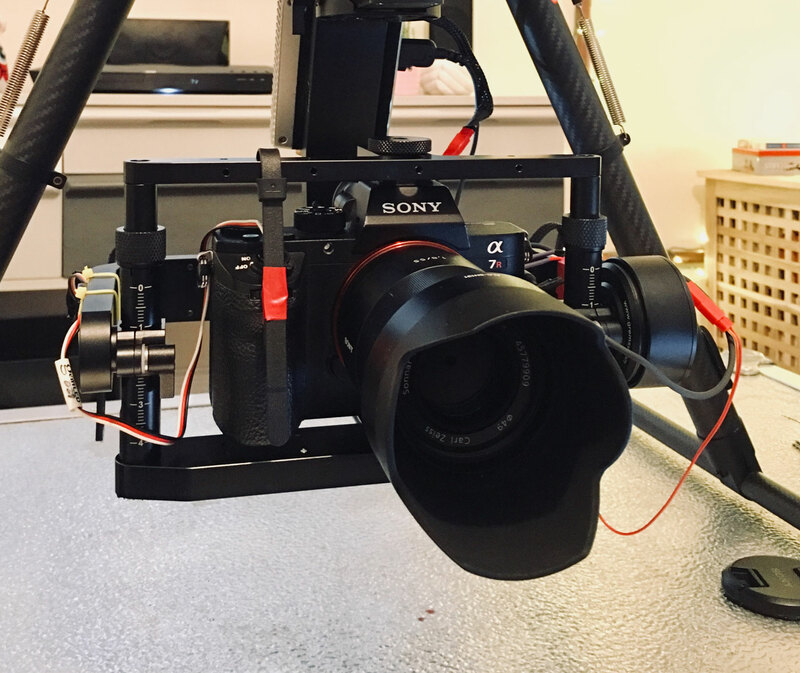 This camera shoots at 42 MP – among the highest resolution currently available – for tasks such as technical asset inspection, high-quality marketing photography, and precise mapping. Photo maps to be produced to a GSD (ground sample distance) of less than 1 cm per pixel. Click and scroll or pinch the Olympic Stadium image to zoom in. 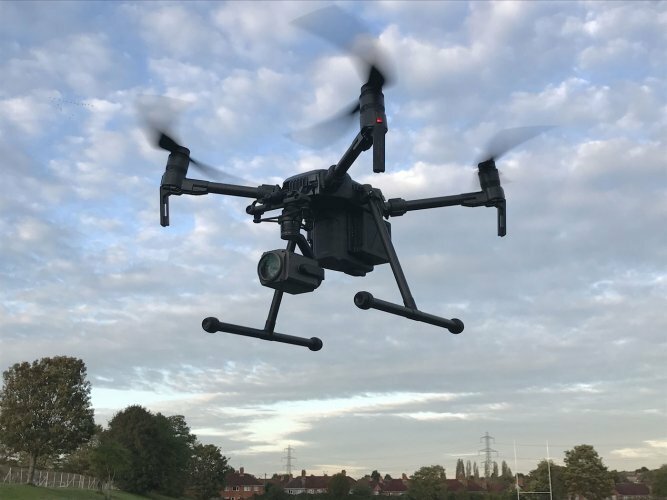 Thermal images and video captured with this camera can be used to spot cracks in buildings, find sources of heat loss, or identify electrical faults such as damaged cells in solar panels. 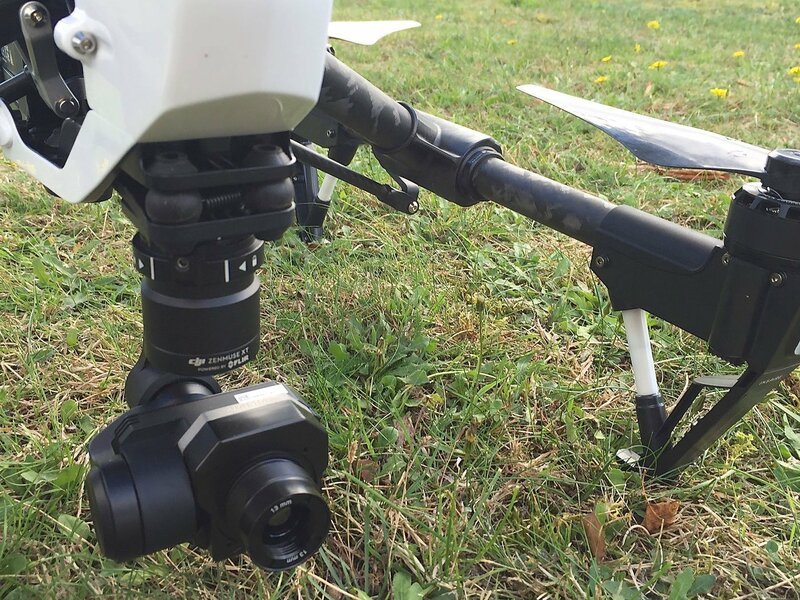 Many drones now come with built-in ‘geo-fencing’ to restrict hobbyist pilots. 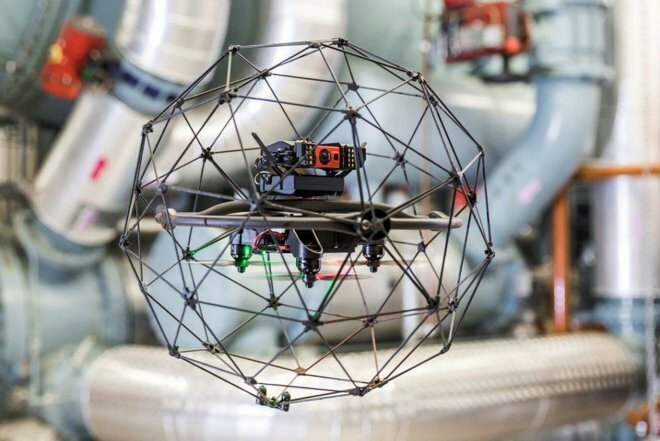 This prevents the drones from operating in sensitive areas such as near airports and stadiums. 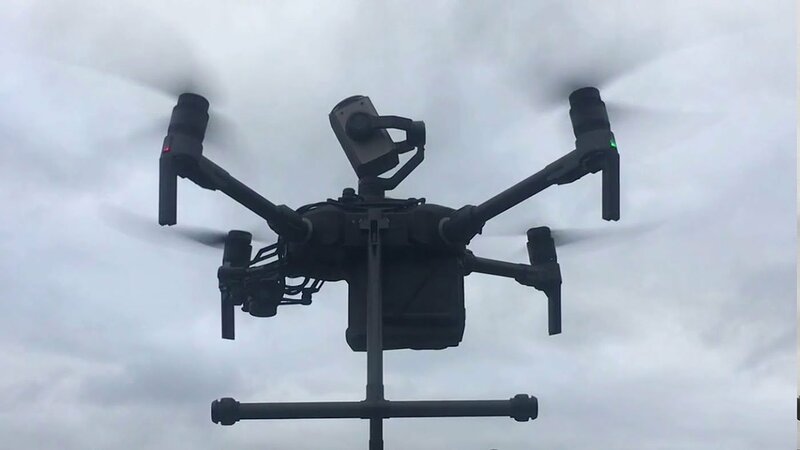 With this aircraft, unrestricted flights are possible in these areas, as its flight controller is from a different manufacturer which isn’t bound by the geo-fencing system. 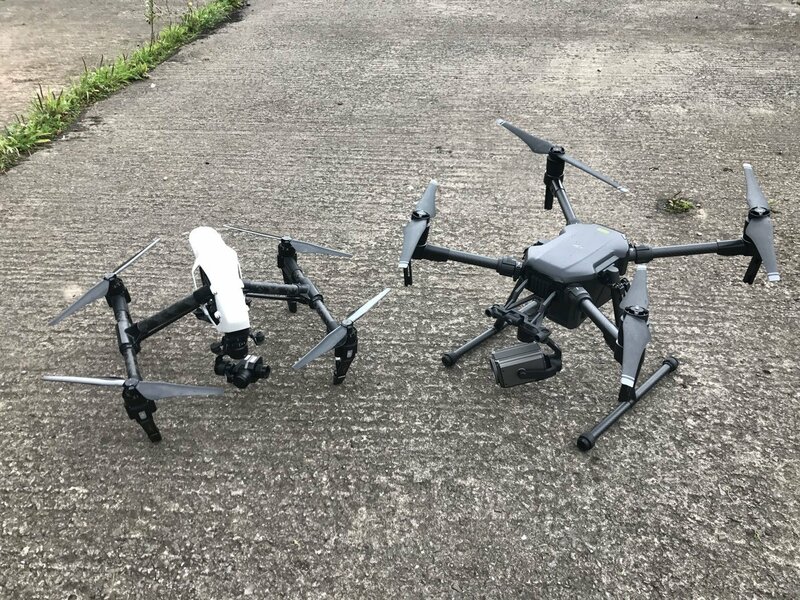 Drone manufacturer DJI was recently involved in several data-breach scandals. Subsequently, military customers in the USA, UK and elsewhere have boycotted these products and banned their use by contractors on military premises. 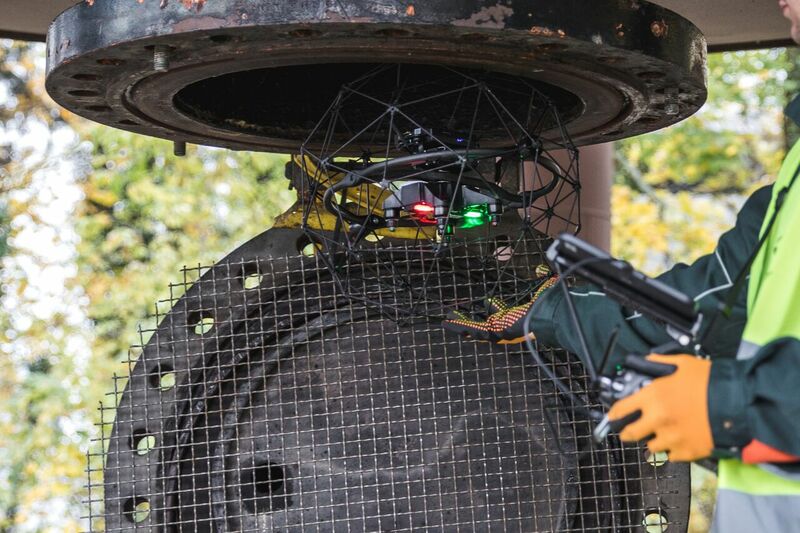 The Pixhawk flight controller operates off-line. This removes the opportunity for data breaches or hacks, thereby conforming to military customers’ data security requirements. 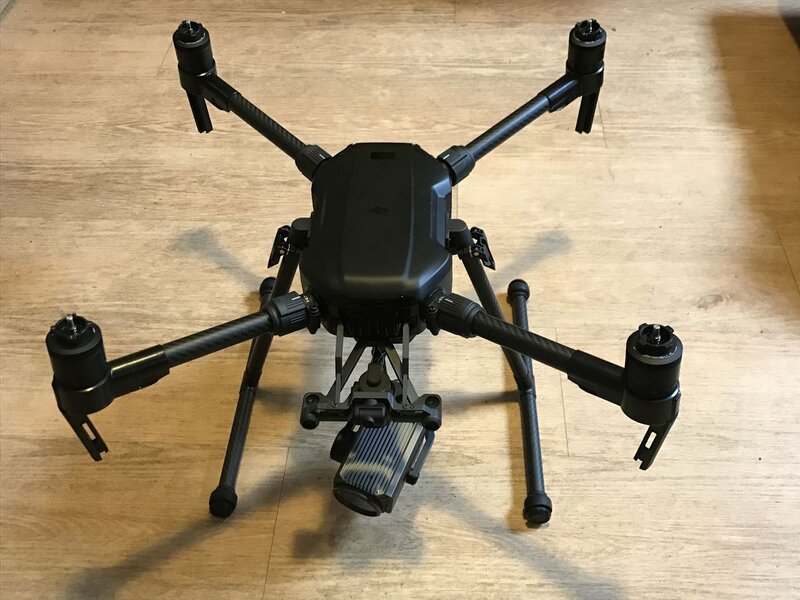 Most drone cameras can only look forwards or down as they are mounted below the chassis and propellers of the aircraft. 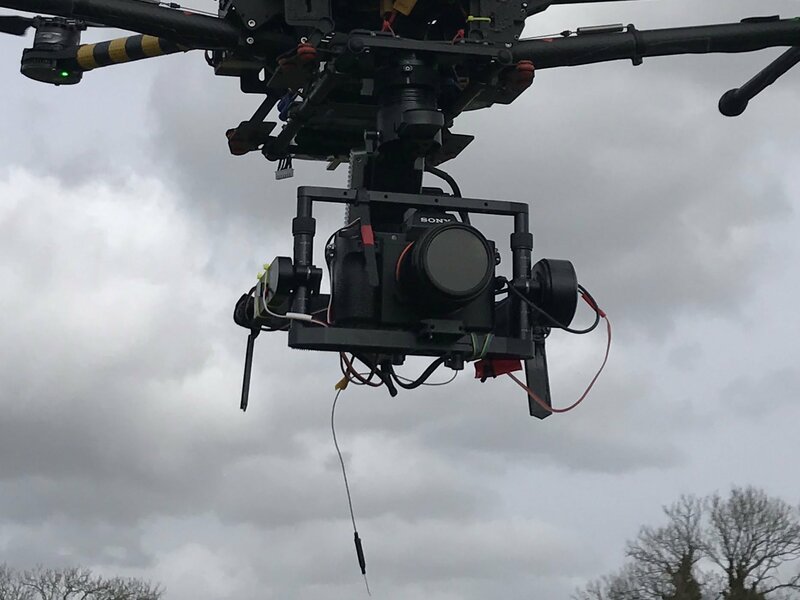 This drone has a ‘top mount’, allowing the camera to capture assets directly overhead without obstruction, e.g. the underside of the bridge. Surveyor - Savills Commercial Ltd.
We used Skyhook to inspect several large light industrial unit roofs as part of a dilapidations survey. 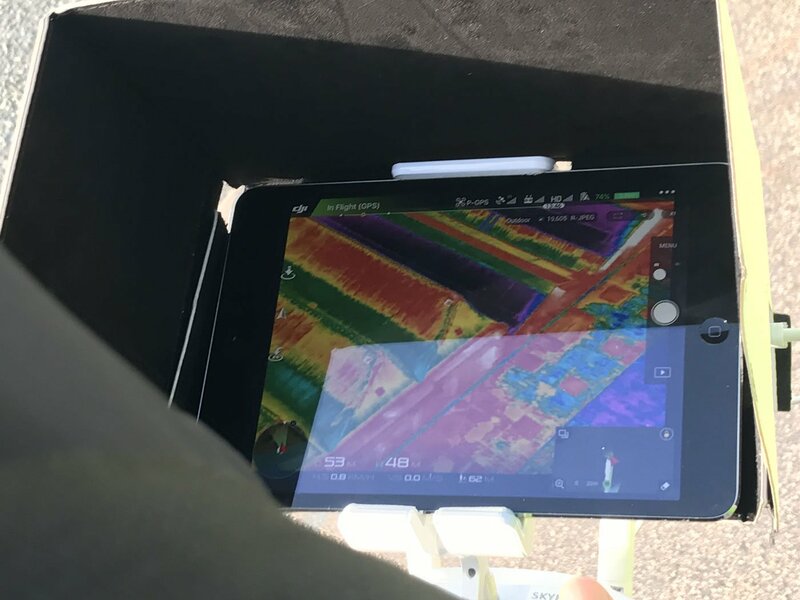 Viewing on a dedicated monitor we were able to clearly view the roofs and rainwater goods for defects and collect the relevant data required for the schedule. Had we used a cherry picker for the inspection, it would have taken four times longer than using the drone. 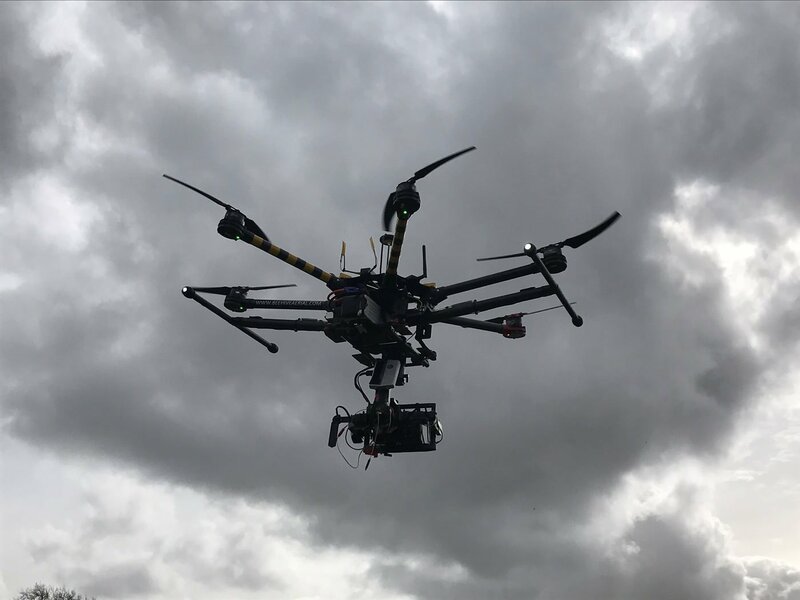 Skyhook impressed with their thorough approach to the challenges of UAV flights at our Battersea site. 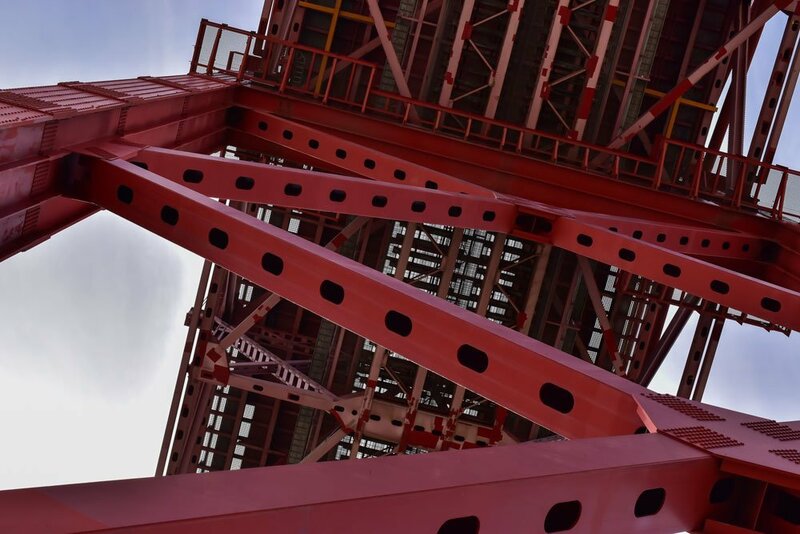 Whilst on site they operated in a safe and responsible manner, managing risk by ensuring that crane operators and other traffic were aware of their movements. The end product was of high quality, and our management team in Kuala Lumpur received the files before the end of the day. The quality and value of Skyhook’s work went beyond all my expectations. Despite our strict health & safety requirements and the poor weather conditions, they still managed to carry out the brief. Very much customer focused with on time delivery. 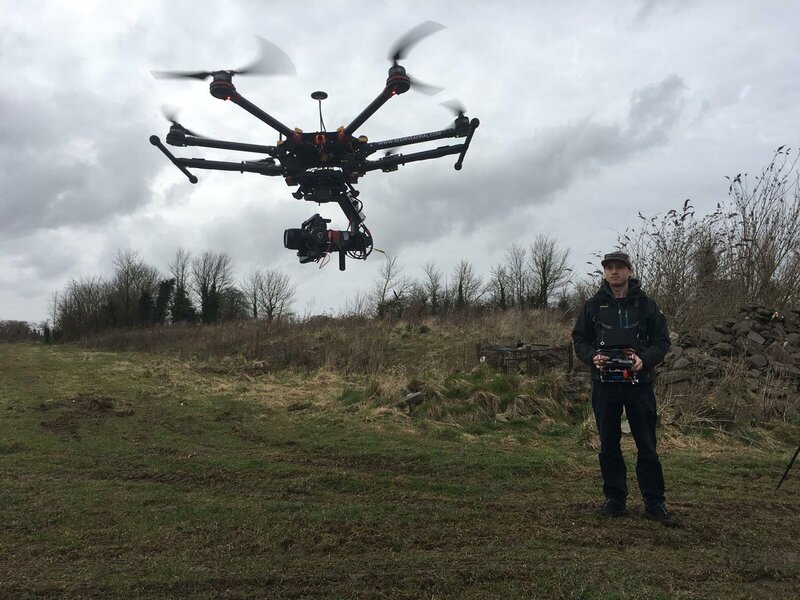 I’d highly recommend them to anyone seeking aerial mapping and inspection services. Hiring Skyhook was far more cost effective than using a crane or cherry picker. The images allowed us to zoom in and assess damage to determine the required repairs. This cut the survey process from 3-4 days down to 6hrs. We will certainly use their services again. We had to survey a large warehouse roof and guttering detail where crane access was difficult to organize and wouldn’t provide visuals of the entire roof. 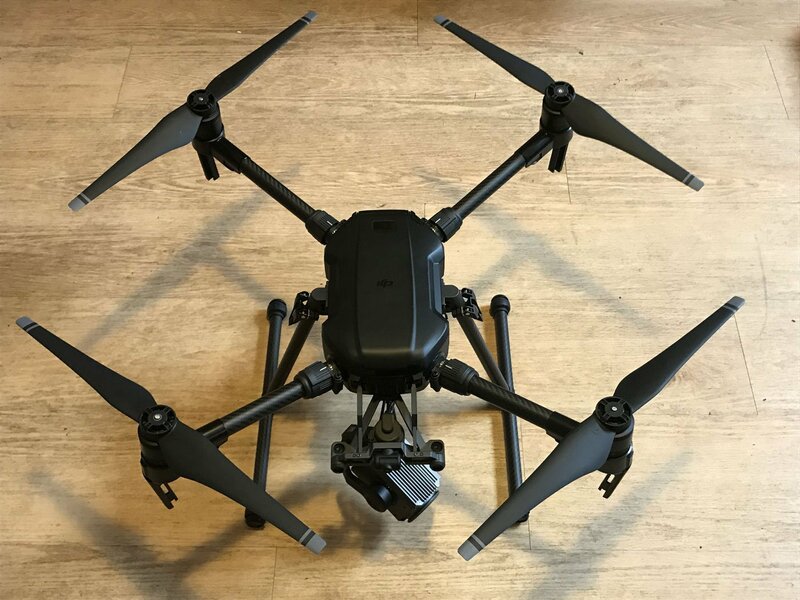 Skyhook’s service using a drone provided fantastically clear, stable, high-resolution imagery of the necessary detail we were after, took a fraction of the time to complete at a fraction of the cost. I don’t see us ever using a hoist to survey a roof again. Copyright © 2019 Skyhook Media Ltd. The details you enter here will only be used to send you the requested document and will not be used for marketing purposes or passed to any third parties.